I like business envelopes. They are boring on the outside but have really fun, often red or blue, patterning within. Yesterday, at the end of a full, full day, I began cutting shapes from old envelopes I had collected and laying them out on a page. 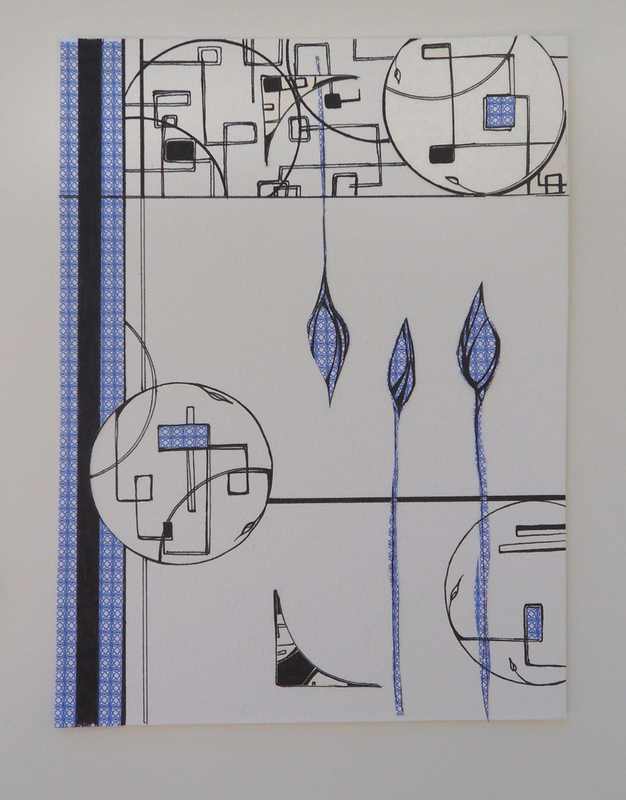 Once I settled on a something I liked, I added geometric ink design and broke up the space using line and color. Day 14’s resulting image, like many of my others, plays with the juxtaposition of geometric and organics shapes. NIce! It reminds me of Mondrian. 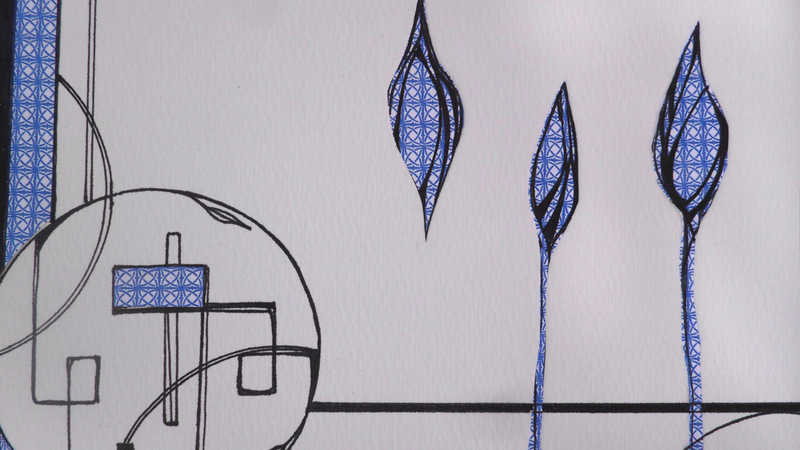 There’s something about the blue shapes that reminds me of an amaryllis before it blooms. Thanks, Koos! I just looked up what an amaryllis bud looks like, and you’re right. Funny enough, my parents had tons of these in their backyard as I was growing up -they must have made an impression. I clearly am horrible with flower names.